Combining a blend of brit pop, indie rock and hip hop, Gorillaz rose to fame in the early ’00s as the first virtual hip-hop group. 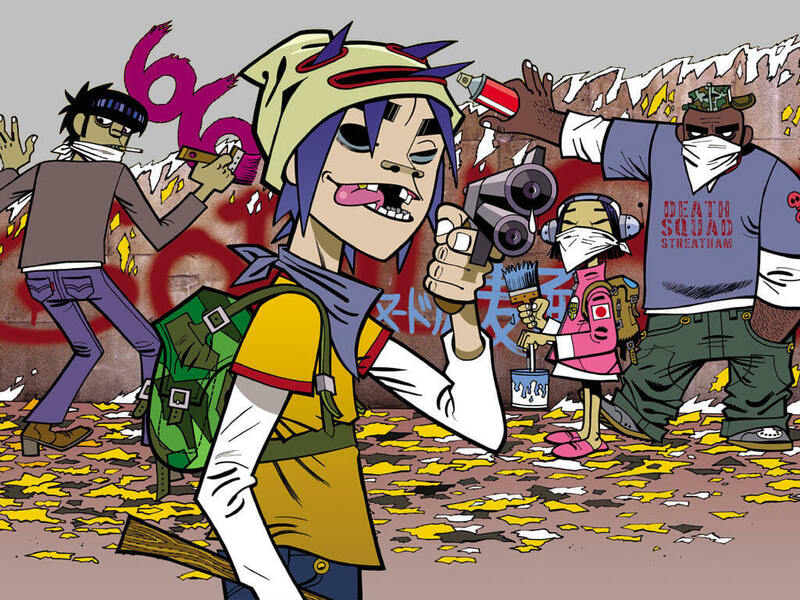 The band consists of four fictional, animated members created by Damon Albarn and Jamie Hewlett. Each member has detailed biographies and characteristics, but don’t actually represent anyone in real life. In reality, Albarn is the only permanent musician and contributor to the band, with much of the music being created by various collaborators. Gorillaz debuted in 2000 with theTomorrow Comes Today EP. They gained worldwide recognition the following year with their single, “Clint Eastwood” and subsequently dropped their debut album, Gorillaz, which was certified platinum in the U.S. Following their debut, Gorillaz released their sophomore album, Demon Days, in 2005, which is their most successful album to date. It spawned the grammy winning hit single, “Feel Good Inc.” and was certified double platinum in the U.S. and triple platinum in the U.K. Though comprised of animated characters, Gorillaz has achieved success as real as any living musician.